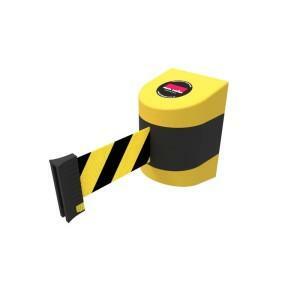 The Magna-mount, retactable belt barrier, has all the features of the 7.6 metre wall mount model. 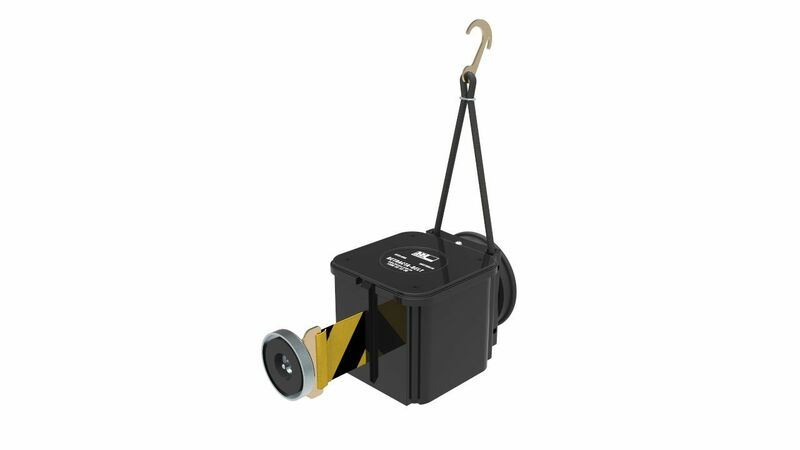 Furthermore, it has the added flexibility of being able to be quickly repositioned, using the magnetic base mount and magnetic belt clip. 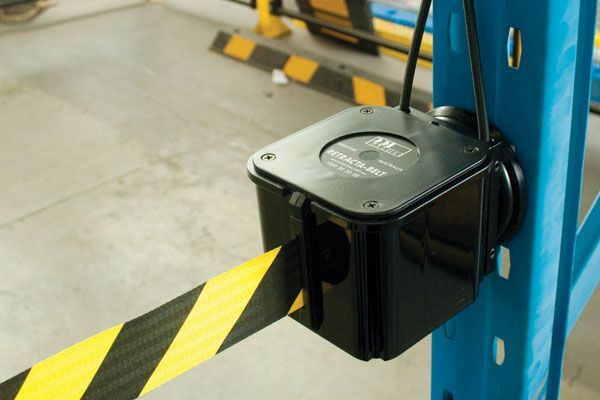 Safety bungy prevents damage if the Magna-mount is accidentally dislodged. 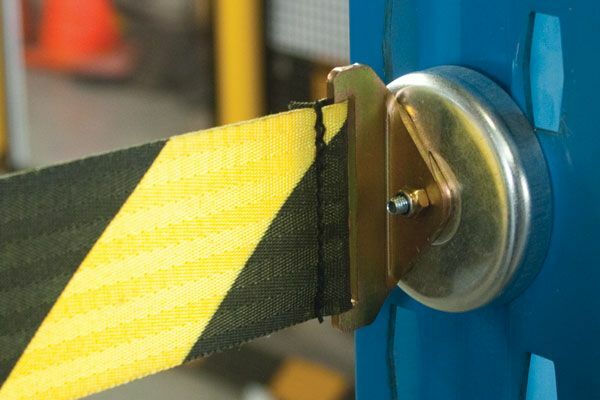 Belt printing of retractable belts is also available with a choice of three generic warnings or you can order a custom belt with a personalised message/warning. 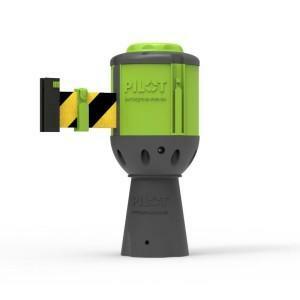 Can be quickly deployed at any time. 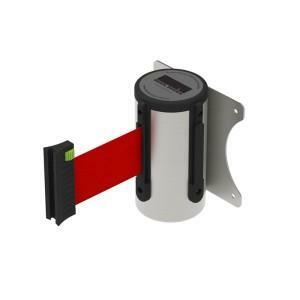 Magnetic mounting for temporary placement. 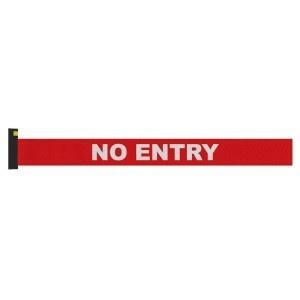 Designed for use where fixed barriers are not available and has ability to span large areas. Description: High-impact Black polycarbonate housing. Extensions: 0 - 7.6 metres. 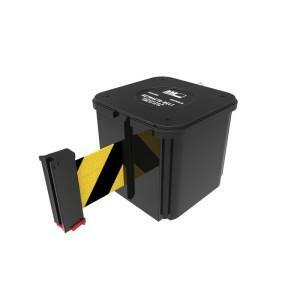 Delivery: Complete with magnetic base and belt clip. 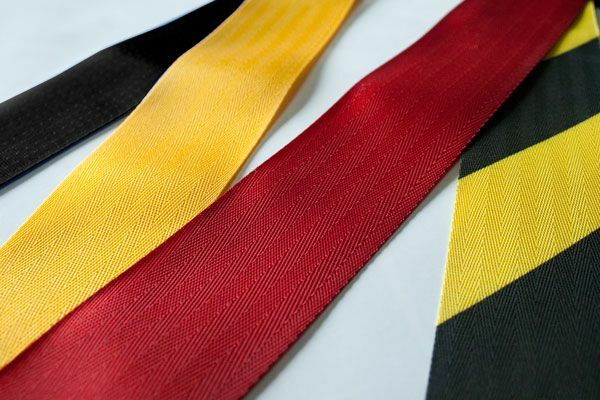 Belt: Available in Red/White, Black/Yellow, Red, Blue, Black or Yellow.